Our InstaAdvent Photo Challenge is back! 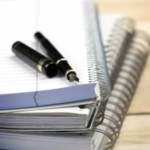 It’s easy to get lost in the hustle and bustle of the holiday season. Sadly, this means that we sometimes lose sight of the real meaning and purpose of this time of year. Advent is a time of anticipation and waiting for the birth of Jesus. There’s so much wonder and love in the air! 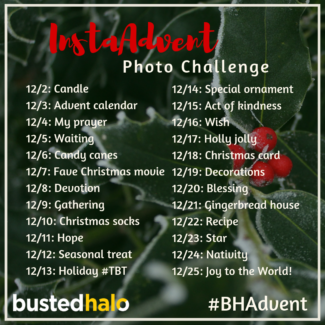 So, join us in Busted Halo’s InstaAdvent Photo Challenge! 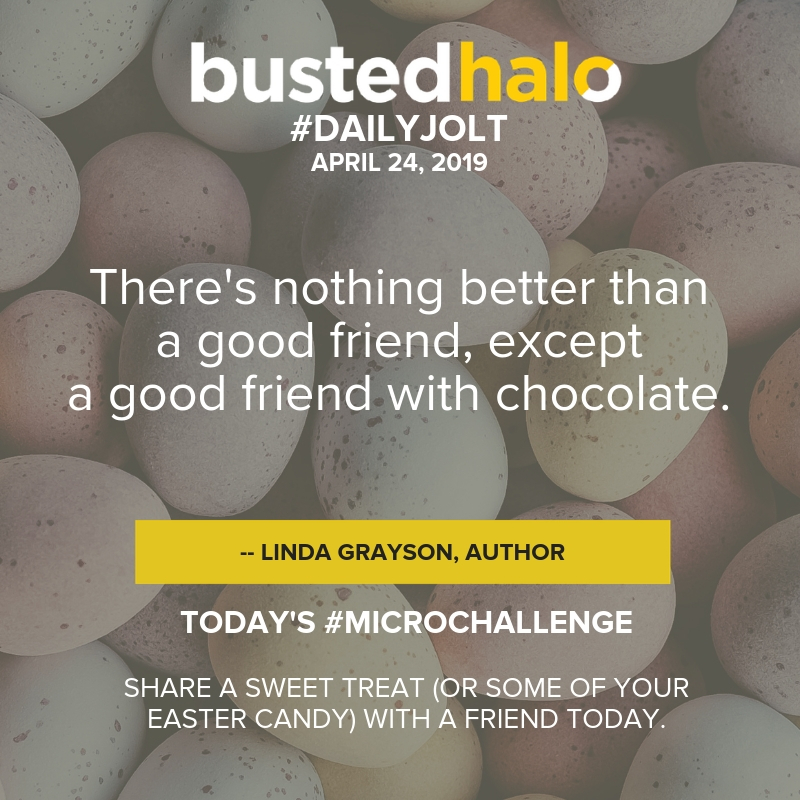 Post a photo every day during Advent and stay connected to the hope, joy, and occasional peppermint mocha that make this time of year so special! 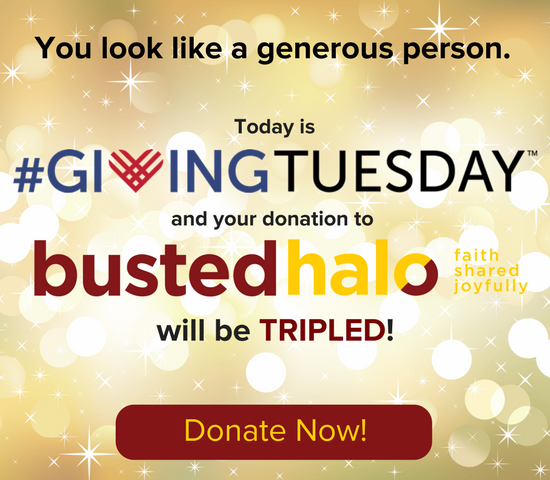 It’s the season of giving, so we’ll be giving away prizes each week. May the best InstaAdvent photo win! Share our InstaAdvent image on Instagram so we know you are participating in the challenge! 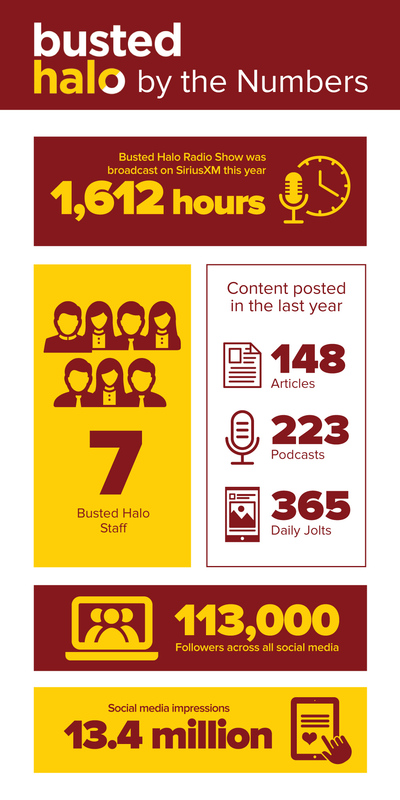 Take a pic following our theme of the day and tag #BHAdvent and @bustedhalo on all your posts! If you’re not on Instagram, no worries! 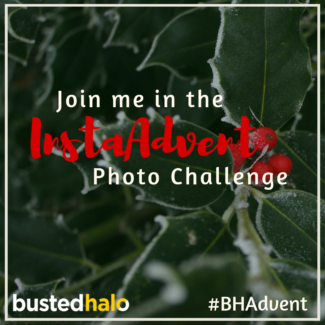 You can still participate in the fun by uploading your Advent photos to Twitter or Facebook and use #BHAdvent and mention @bustedhalo. We can’t wait to see your photos! Have a blessed Advent journey!